WildDogWednesday | Out of the Box! Robert Duncan was an important author in the San Francisco Renaissance and the Black Mountain School. He was born on January 7, 1919 in Oakland, California. His mother died in childbirth, and his dad, unable to support his newborn son placed Robert Duncan up for adoption. In August of 1919 Duncan was adopted. Duncan’s adopted parents chosen religion was theosophy, which greatly affected Duncan’s poetry. His poems drew on myth, occultism and religion. He wrote using projective verse and composition by field. Duncan chose to become a writer in his early teens after being encouraged by an English teacher who recognized his talent. Duncan attended the University of California, Berkeley for two years. He left California and went to finish his education at the Black Mountain School. Shortly after arriving at the school he got into a conflict with the faculty and moved to New York City. 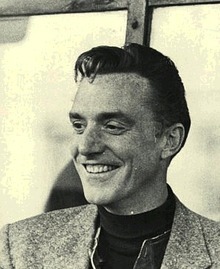 During the 1960’s Robert Duncan won many awards. In 1961 he won the Harriet Monroe, he received a Guggenheim Fellowship in 1963, and in 1964 he won the Levinson prize from Poetry Magazine. In 1985 Duncan received the National Poetry Award. Robert Duncan died in San Francisco in 1988. He had fought a long battle with kidney disease. After his death, many of his works continued to be published. Even today he remains an influential figure in poetry. 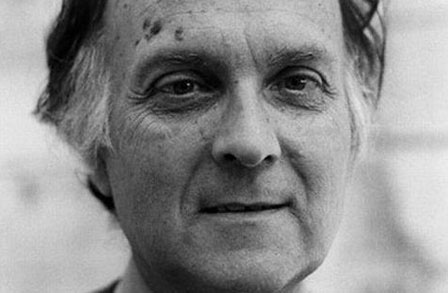 Robert Duncan’s poetry often expressed his anarchic political views. In addition, his use of projective verse makes many of his poems stand out. In Newton Gresham Library’s SHSU Special Collections there are two of his poems available to read. The first called The gift of tongues or the Imagination can be found in Series 2, Subseries 4, Box 9, and Folder 3. The second which is called Melville after Pierre can be found in Series 2, Subseries 4, Box 9, and Folder 4. “Robert Duncan.” Poetry Foundation. Poetry Foundation, n.d. Web. 23 Apr. 2015. “Poet Robert Duncan.” Poets.org. Academy of American Poets, n.d. Web. 23 Apr. 2015. Christensen, Paul. “Robert Duncan’s Life and Career.” Robert Duncan’s Life and Career. Modern American Poetry, 1999. Web. 23 Apr. 2015. Mlinko, Ange. “The Unconquered Flame: On Robert Duncan.” The Unconquered Flame: On Robert Duncan. The Nation, 18 Sept. 2012. Web. 23 Apr. 2015. The third member of the West Coast Beats was Philip Whalen, although he was better known as being a major figure in the San Francisco Renaissance. He was born on October 20, 1923 in Portland, Oregon. His family left Portland when he was four to go live in The Dalles. His family could not afford to send him to college, so when Whalen returned to Portland in 1941 he worked as a laborer in shipyards and airplane factories. In 1943 he was drafted into the U.S. Army Air Corps. He was trained to teach radio operations which kept him stateside and allowed him to read and write poetry. In 1946 Whalen, thanks to the G.I. Bill, was able to enroll in Reed College. While attending Reed College, Whalen met Lew Welch and Gary Snyder. These three men would become key figures two related literary movements, the Beat Movement and the San Francisco Renaissance. In 1951 Philip Whalen graduated Reed College. Between 1951 and 1955 Whalen worked odd jobs, including a fire-spotter in Mount Baker National Forest, to support his writing. In 1955 with some pushing and nudging from Gary Snyder, Whalen read at the historic Six Gallery reading. Unlike most of the other Beat poets Whalen’s poetry was not very political. He showed a reverential treatment of the mundane and used self-deprecating humor. A good example of this can be found in the Wild Dog collection in. Whalen published four of his poems in issue 17 of the Wild Dog magazine. The poems are called: Fragment of Great Beauty and Stillness, Doukhobor Proverb for Oskar Heiserman, Disgust with a Poetical Evening at Miss Q’s House, and Grand Historical Ode, To a Certain Lady who has praised my poems. These poems express nature and the ordinary in an extraordinary way. They can be found in Series 2, Subseries 4, Box 9, and Folder 2. Philip Whalen, like Gary Snyder, practiced Zen Buddhism. In 1973 he became a Buddhist monk. Although he would spend the rest of his life as a monk, he continued to write poetry and in 1985 he was awarded the Morton Dauwen Zabel Award. 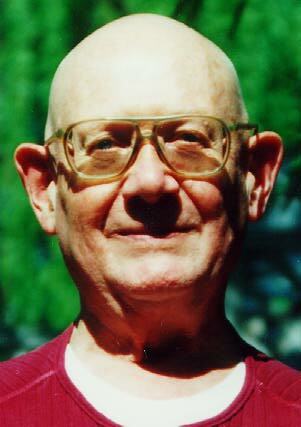 In 1991 Whalen became the Leader of the Hartford Street Zen Center in San Francisco. He served as Hartford Street’s leader until his health forced him to retire and on June 26, 2002, Philip Whalen passed away. Miscellaneous Artwork from the Wild Dog Collection. Series 2, Subseries 2, Box 6, Folder 20. To view and read Philip Whalen’s poems and The Wild Dog Papers visit Newton Gresham Library’s Special Collections on the fourth floor of the Library. Paul Blackburn is best known as a Black Mountain Poet, because of his work as editor and distributor of the Black Mountain Review. 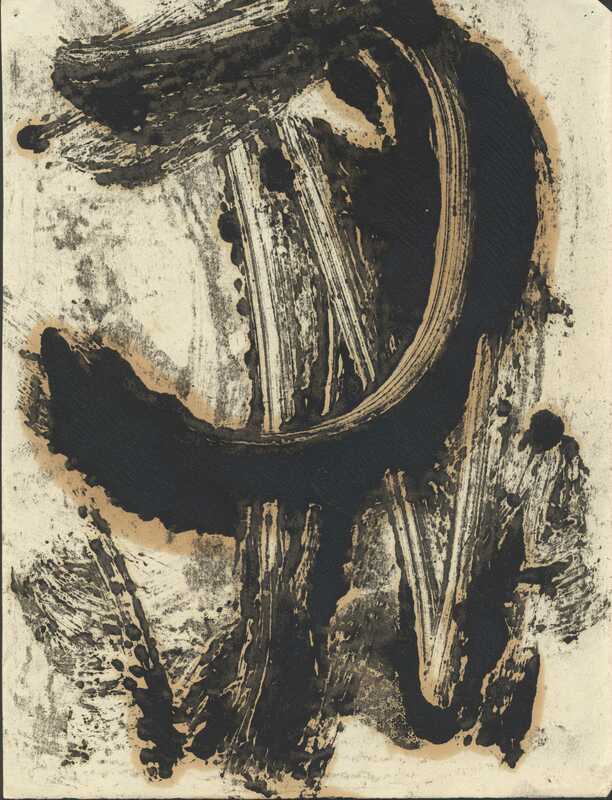 Black Mountain poets are poets who had some loose affiliation with the Black Mountain College, usually through their work with the Black Mountain Review. 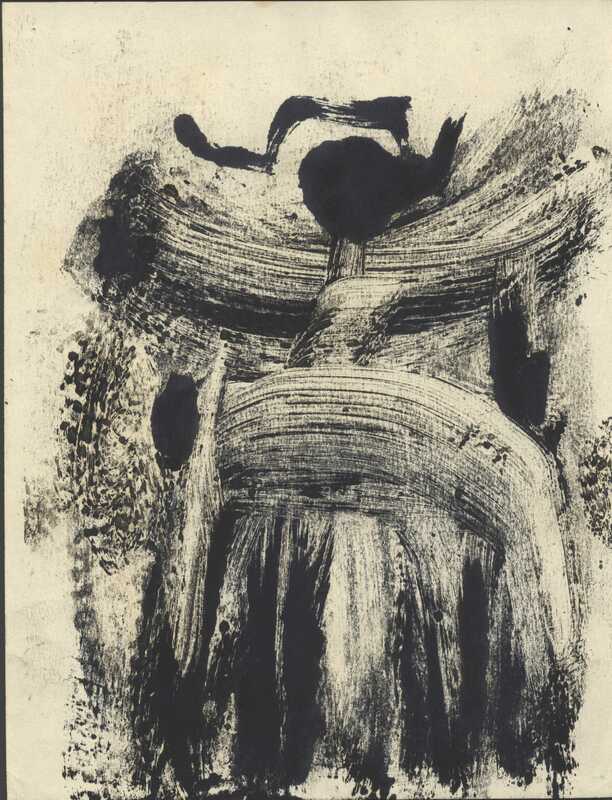 The Black Mountain Review was started to highlight the literary accomplishments of Black Mountain College. Blackburn was born in Vermont in November 1926 to William Blackburn and Frances Frost. His mother Frances Frost a poet and children’s author herself, encouraged Blackburn to write in his teenage years. Most of Blackburn’s early life was spent living with his sister and strict grandparents on their farm in St. Albans, Vermont. At the age of fourteen Blackburn moved to his mother’s house in Greenwich Village. It was during this time that Blackburn’s mother started to encourage him to write poetry. In 1945 he started at New York University but left after one year to join the Army. His service in the military was spent as a laboratory technician in Colorado. When he returned to college he started reading Ezra Pound. He managed to get in touch with Pound and a mentor-student relationship began between the two poets. Blackburn supported himself through jobs at print-shops, editorial jobs, translating, and free-lance writing. In the 1960’s he started to get offers to teach at colleges and universities. In 1967 he received a fellowship that allowed him to go to Europe to work on translations and poetry. Blackburn was married three times and had one child. Paul Blackburn died in 1971 of esophageal cancer. Paul Blackburn’s was an amazing poet and worked hard to help up and coming poets develop. His poetry had a musical quality. He was published in many smaller literary magazines. Including the Wild Dog magazine. Newton Gresham Library’s SHSU Special Collections house the Wild Dog collection, which consist not just of the Wild Dog magazine issues but also manuscripts and correspondence of the authors and editors. Paul Blackburn published a total of six poems in the Wild Dog magazine. Three of the poems occur in issue nine on page six. The poems in volume nine are: Hark, Hark…, The Unemployment Bureau, and Hot Afternoons Have Been in the West 15th Street. They can be found in the Wild Dog collection in Series 2, Subseries 4, Box 8, and Folder 9. The second set of poems are in issue 19 page 35. They poems in issue 19 are: Collage, “ancer Ejaculations, and Who Nneedds Legs? We Do. They can be found in the Wild Dog collection in Series 2, Subseries 4, Box 9, and Folder 4. To view and read Paul Blackburn’s poems and The Wild Dog Papers visit Newton Gresham Library’s Special Collections on the fourth floor of the Library. Joanne Kyger’s poetry had hints of Zen Buddhism, Black Mountain, San Francisco Renaissance, and Beat poetry. Even with her diverse set of influences, she is most often associated with poets of the San Francisco Renaissance and the Beat movement. Joanne Kyger was born on November 19, 1934. She studied at the University of Columbia and almost got her degree, but instead she moved to San Francisco in 1957. Once in San Francisco she moved into a communal housing establishment for students of Zen Buddhism and Asian studies. Not long after moving to San Francisco Kyger became involved with the poetry scene around Jack Spicer and Robert Duncan. These two poets were best known for their involvement with the San Francisco Renaissance. In 1958 Joanne met Gary Snyder. In 1960 she went to Japan with him, and on February 28, 1960 the two married. She travelled to India with Gary Snyder, Allen Ginsberg, and Peter Orlovsky. Ginsberg and her husband were both Beat poets. In 1965 Joanne Kyger and her husband Gary Snyder got divorced after being separated for a few years. Later in 1965 Joanne Kyger married Jack Boyce, the two separated in the early 70’s. The Newton Gresham Library has a few of her poems in SHSU Special Collections Wild Dog collection. Places to go and Stump Island, along with Kora Grown Old, a poem dedicated to Kyger, can be found in Series one, Subseries 1, Box 1, Folder 44 of the collection. Places to go can also be found with the manuscripts in Series two, Subseries 1, Box 5, Folder 18, and as the final version in Series 2, Subseries 4, Box 9, Folder 4. She come up can be found in Series 2, Subseries 4, Box 9, Folder 4. Joanne Kyger still writes some today. In addition, she also teaches at the Jack Kerouac School of Disembodied Poetics on occasion. To view and read poems by Joanne Kyger and The Wild Dog Papers visit Newton Gresham Library’s Special Collections on the fourth floor of the Library. Lew Welch was part of the San Francisco Beat movement. He’s the lesser known member of a trio of major Beat poets from west coast, the other two are Gary Snyder and Philip Whalen. Welch was born in Phoenix, Arizona on August 16, 1926 to Lewis Welch Sr. and Dorothy Welch. In 1929, after his parents divorced, Lew, his sister, and his mother moved to California. In 1944 Welch enlisted in the Army Air Corps, but he never saw active service. In 1948 he moved to Portland Oregon to attend Reed College. While at Reed, Welch met and roomed with Philip Whalen and Gary Snyder. He worked at the magazine and wrote his thesis on Gertrude Stein. SHSU Special Collections has a Stein collection. While attending Reed he met William Carlos Williams, who encouraged him to get his thesis published. After College, Welch entered the advertising business. He moved to New York first, where many say he came up with the slogan: “Raid Kills Bugs Dead,” although some question this claim. He later moved to Chicago to further his advertising career. While in Chicago he missed out on the famous reading at the Six Gallery in San Francisco, which prompted a request to transfer to his company’s Oakland headquarters. Once he moved back to San Francisco he got involved with the literary scene again. In order to dedicate more time to writing, Welch quit his job and got another job as a cab driver. At times Welch lived with other Beat writers including Gary Snyder and Lawrence Ferlinghetti. Like many other Beat poets Welch did not like war. He and other writers and editors signed a pledge called “Writers and Editors War Tax Protest” and refused to pay tax payments in protest against the Vietnam War. In the 1960’s Welch began teaching at the University of California Extension Poetry Workshop. In early 1971 Welch and his common law wife, Magda Cregg, broke up. On May 23, 1971 Welch walked out of Gary Snyder’s house, in the Sierra Nevada mountains, with a Smith&Weston .22 revolver, leaving a suicide note. His body was never found. He left an executor and, as a result, a good portion of his work was published posthumously. Lew Welch was a very talented writer. He could make a grisly sky burial, where your body is fed to vultures, seem glorious. The Wild Dog magazine have a very good example of his amazing writing ability. The poem is titled Belly Musky Pit in Wild Dog issue 17 on page 45, and was published on June 8, 1965. The poem is either talking about garbage or a bodily function but his writing is so good that you can’t stop yourself from reading the poem again and again trying to figure out exactly what it’s about. Belly Musky Pit can be found in the Wild Dog Collection in Series 2, Subseries 4, Box 9, and Folder 2. To view and read poems by Lew Welch and learn more about The Wild Dog Papers, visit Newton Gresham Library’s Special Collections on the fourth floor of the Library. Charles Bukowski was a famous author who wrote over forty-five works during the course of his life. He wrote poetry as well as short stories and novels. He was born on August 16, 1920 in Germany to Heinrich Bukowski and Katharina Fett (Bukowski). While marriage records show that Charles Bukowski’s parents were married a month before his birth, he often told people he was born out of wedlock. Bukowski’s father was abusive throughout his childhood and his mother did not intervene. Bukowski thought that this helped his writing, because he came to understand undeserved pain. When he was a young man, Bukowski discovered alcohol and spent almost ten years drinking to excess. In 1955 he was hospitalized and treated for a near-fatal bleeding ulcer. Once released he began writing poetry again. Later that year he met and married is first wife, Barbara Frye. In 1962 Bukowski was traumatized by the death of Jane Cooney Baker, a serious romantic attachment. The FBI files on Bukowski listed her as Bukowski’s first wife, leaving some to wonder. The next serious girlfriend Bukowski had was Francis Smith. Bukowski and Smith lived together, and when Smith became pregnant Bukowski proposed and was turned down. On September 7, 1964 Bukowski’s only daughter was born. In 1976 he met Linda Lee Beighle. In 1978 they moved to San Padro where they lived together for the next two years. In 1985 they were married by Manly Palmer Hall. In Bukowski’s later works He refers to Beighle as “Sarah”. Beighle and Bukowski remained married until his death on March 9, 1994. Several of Bukowski’s works were published posthumously. Throughout the course of his life Bukowski supported himself and his writing with a wide range of jobs. He was a dishwasher, truck driver, mail carrier, guard, gas station attendant, warehouse worker, shipping clerk, post office clerk, parking lot attendant, Red Cross orderly, and elevator operator. He also worked in a dog biscuit factory, a slaughter house, a cake and cookie factory, and he hung posters in New York City Subways. In 1969 he quit his job at the post office and went to work for the Black Sparrow Press, a dream job for him. 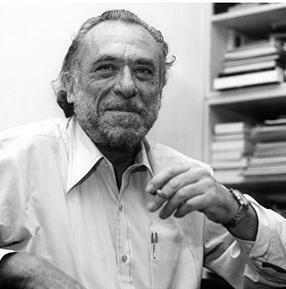 Charles Bukowski liked to publish in smaller literary magazines and newspapers. In 1965 he published four poems in the Wild Dog magazine. These four poems can be found at Newton Gresham Library’s SHSU Special Collections in the Wild Dog Collection. The poems were published in Wild Dog Issue 13. 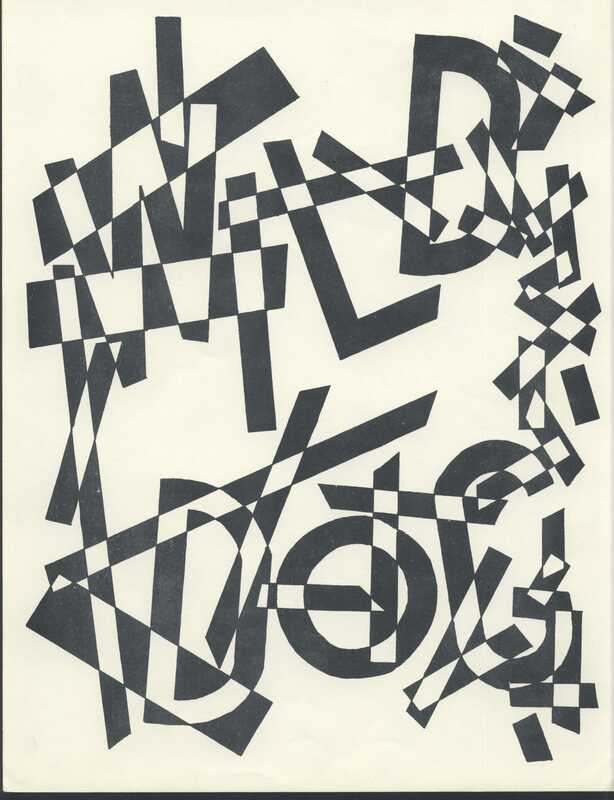 There are two different versions of the four poems: a clean typed version and a manuscript version, which contains errors and edits made by the author. The four poems are called: The Madness of the Windows, Game, The Vile World of Windows and Hammers, and Down by the Wings. The manuscript version can be found in Series 2, Subseries 1, Box 5, and Folder 12. The published version can be found in Series 2, Subseries 4, Box 8, and Folder 13. Along with his poems you can also read correspondents form Bukowski to Drew Wagnon, editor of the Wild Dog magazine. The correspondence can be found in Series 1, Subseries 1, Box 1, and Folder 10. To view and read poems by Charles Bukowski and The Wild Dog Papers visit Newton Gresham Library’s Special Collections on the fourth floor of the Library. 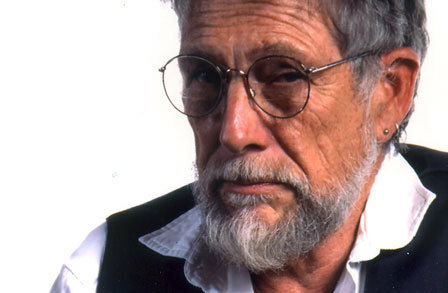 Gary Snyder was born in San Francisco on May 8, 1930. His parents were Harold and Lois Hennessy Snyder. His family, impoverished by the Great Depression, moved to Washington when he was two years old. He grew up tending the family farm. At the age of seven he had an accident and was laid up for four months. During those months he was brought a lot of books from the Seattle Public Library. By the time he had recovered from his accident, he had become a voracious reader and his life was changed for the better. When he was twelve his parents got divorced and he, his sister Anthea, and his mother moved to Portland, Oregon. He got one of his first jobs as a copy room boy at The Oregonian where his mother worked. In 1947 Snyder went to study at Reed College on a scholarship. While attending college Snyder meet and befriended Lew Welch and Philip Whalen, who would become Beat poets along with Snyder. Gary Snyder began the first of four marriages in 1950, when he married Allison Gass. The couple was married for seven months before separating. In 1952 they divorced. In 1951 Snyder graduated from Reed College. He spent the summer after he graduated working as a timber scaler at Warm Springs, the experience gleaned from these summers formed the basis for his earliest published poems. He went to Indiana University for a semester for a graduate fellowship where he studied anthropology. After a semester he left to, as he said: “sink or swim as a poet.” He returned to San Francisco where he lived with Philip Whalen. They both began the study of Zen Buddhism during this time. Snyder also worked as a fire lookout for two summers in the Northern Cascades in Washington. In 1953, while living with Whalen, Snyder enrolled at the University of California, Berkeley to study Asian culture and languages. In June of 1958 Gary Snyder met poet Joanne Kyger, and she became his girlfriend. On Febuary 28, 1960 the two got married as marriage was the only way they could live together and be associated with the First Zen Institute of America. 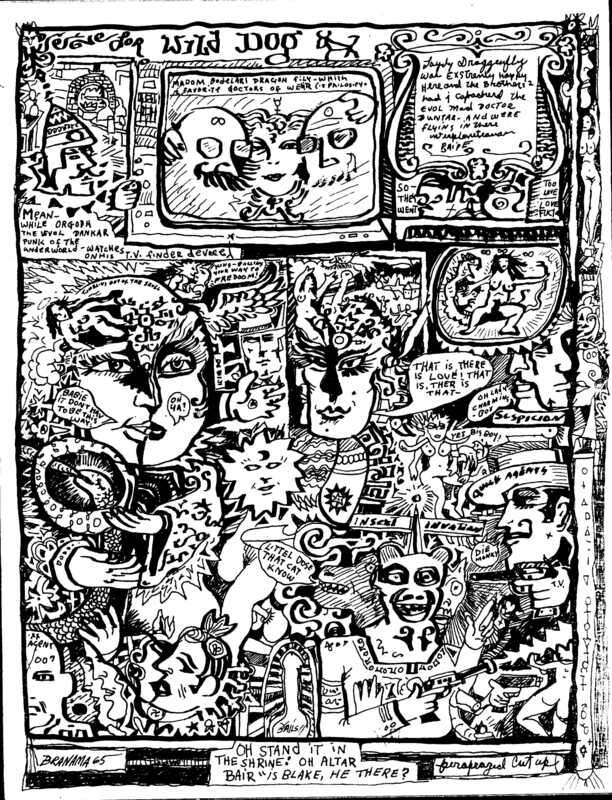 In the early 1960’s the pair travelled to India with Allen Ginsberg and Peter Orlovsky. Snyder and Kyger divorced in 1965. On August 6, 1967 Snyder married Masa Uehara. In 1968 they moved to California with their infant son Kai. A year later Snyder and Uehara’s second son, Gen, was born. In 1975 Snyder won the Pulitzer Prize for his collection Turtle Island. In 1986 Snyder became a professor in the writing program at the University of California, Davis. He now holds the title of Professor Emeritus. In 1989 after twenty-two years Snyder and Uehara divorced. In 1991 Snyder married Carole Lynn Koda. In addition to working with Snyder, Koda also performed independent work as a naturalist. Koda died in 2006. Lawrence Ferlinghetti, a fellow Beat poet and friend, referred to Snyder as “the Thoreau of the Beat Generation” because of his rural background. Most beat poets where more focused on the city life style, In contrast much of Snyder’s poetry was based in nature. Snyder’s writing style often reflected his Asian interest. SHSU Special Collection has two sets of work by Gary Snyder. They can be found in the Wild Dog collection. The first, titled Journeys, describes the journey through life to death. It can be found as either a manuscript version or the final version. The final version of Journeys can be found in Wild Dog issue 17 page 1. Within the Wild dog collection, issue 17 can be found in Series 2, Subseries4, Box 9, Folder 2. The second work is called Hitch Haiku. It is a set of eight-teen haikus. There are two versions of this as well, but they are almost identical. Hitch Haiku is in Wild Dog 21 page 6. 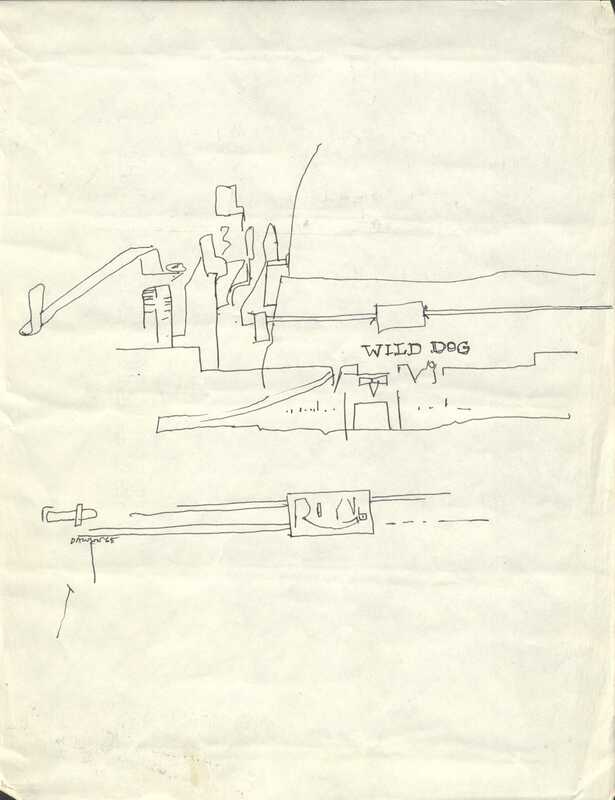 In the collection Wild Dog 21 can be found in Series 2, Subseries 4, Box 9, Folder 5. To view and read Gary Snyder’s poetry and The Wild Dog Papers visit Newton Gresham Library’s Special Collections on the fourth floor of the Library. Denise Levertov is considered an American author, although she was born in Ilford, Essex, England. Her father was a Hasidic Jew who converted to Christianity and her mother was Welsh. Her mother loved to read and would read to her daughter often. 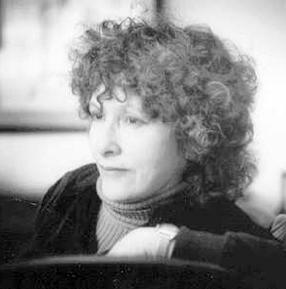 Denise Levertov has claimed to have known at the age of five that she would become an author. At seventeen she had one of her poems published for the first time. Between the ages of seventeen and twenty-one she wrote her first book, The Double Image. In 1946, when Levertov was about 23, that book got published. It would be the first of many publications by Denise Levertov. During World War II Levertov worked as a civilian nurse, and was stationed in London throughout the blitz. In 1947 she married Mitchell Goodman, an American writer. They moved to New York City in 1948 and in 1949 their son Nikolai was born. It was through her husband that she became associated with the Black Mountain School. In 1956 not only did Denise Levertov become a Naturalized U.S citizen, but she also wrote a book Here and Now which made her an important voice in the American avant-garde. By 1959, when she published Eyes at the back of our heads, she was seen as one of the great American poets and her British roots were all but forgotten. In 1961 and again from 1963-1965 she was the poetry editor for The Nation magazine. Then, in 1975-1978 she became the poetry editor for Mother Jones Magazine. During her lifetime Denise Levertov published over twenty volumes of poetry. In 1975 she won the Lenora Marshall Poetry Prize. She was a professor at Stanford University from 1982-1993. In 1997, at the age of seventy-five, she died of complications of lymphoma. Denise Levertov’s work embraced a wide variety of genres and themes. She wrote nature lyrics, love poems, protest poetry and even poetry inspired by her faith. Her poetry was read by many. Newton Gresham Library’s SHSU Special Collections has a poem by her. The poem is called Threshold and it can be found in the Wild Dog Collection, Issue 4 on page 8. 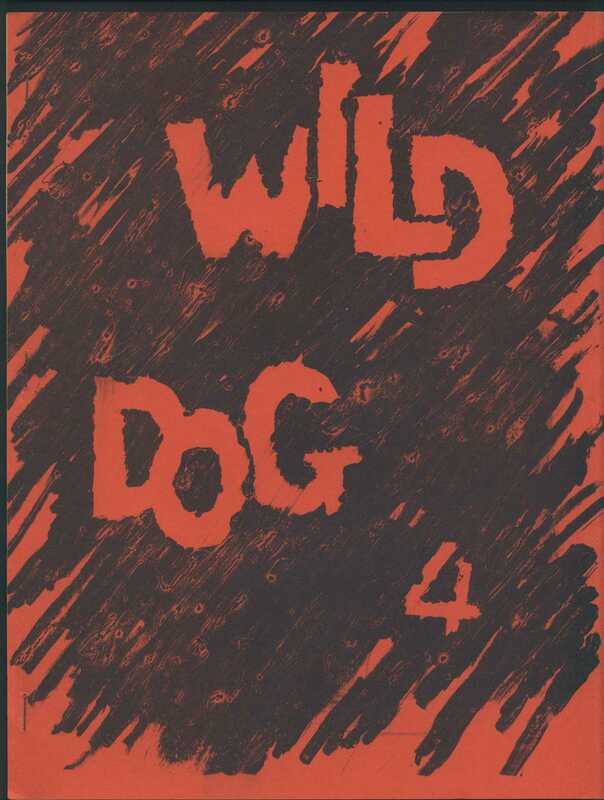 Issue 4 of the Wild Dog is located in Series 2, Subseries 4, Box 8, and Folder 4 of the Collection. To view and read the poem by Denies Levertov and The Wild Dog Papers visit Newton Gresham Library’s Special Collections On the fourth floor of the Library. 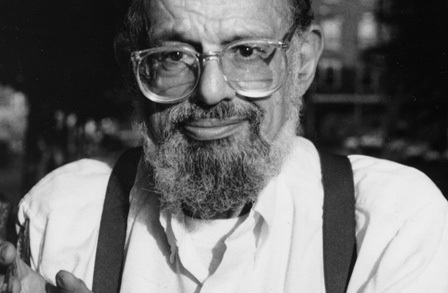 Allen Ginsberg, born June 3, 1926 to Louis and Naomi Ginsberg, was a famous and popular Beat poet. Interestingly Ginsberg’s father was a writer and his mother was a member of the communist party. His mother also had an undiagnosed mental illness which led to her death via lobotomy. Ginsberg’s career as a Beat writer had its start his freshman year at Columbia University where he befriended future Beat authors Jack Kerouac, William S. Burroughs, and John Clellon Holmes. Ginsberg, Kerouac, and Burroughs would become pivotal figures in the beat movement. Ginsberg was a voice in many political movements such as: free speech, Vietnam War protests, Gay rights, he supported drug use, and brought attention to Bangladeshi war victims. His political activism led to many arrests and even a stint in a mental institution for hiding stolen goods for a friend. He dated many men, one of which was William Burroughs. Ginsberg’s most notable and lengthy romantic relationship was with Peter Orlovsky. Their relationship lasted over 30 years, and even if they were on breaks they remained friends. Ginsberg’s first major piece of Beat poetry is called Howl. He used his study in Eastern religions in his poetry through mantras, rhythm, and chants used for spiritual effects. His poems Who Will Take Over the Universe, which talks about protest and his view of government, and a poem titled simply From Journals-1963 , which is a funny piece about an alcoholic telling his wife how he wants his funeral to go, can be found in the SHSU Special Collections Wild Dog Collection. Who Will Take over the Universe can be found in, Series 2, Subseries 4, Box 8, Folder 6 page 31, for the published clean copy. A second, annotated copy can be found in Series 2, Subseries 1, Box 5, and Folder 5. From Journals-1963 can be found in Series 2, Subseries 4, Box 9, and Folder 4 on page 14. Like the first poem a manuscript version of the second can be found in Series 2, Subseries 1, Box 5, Folder 18. Ginsberg continued to produce great literary works throughout his life, win awards, and perform readings up until the last months of his life. He died on April 5, 1997 surrounded by friends and loved ones. 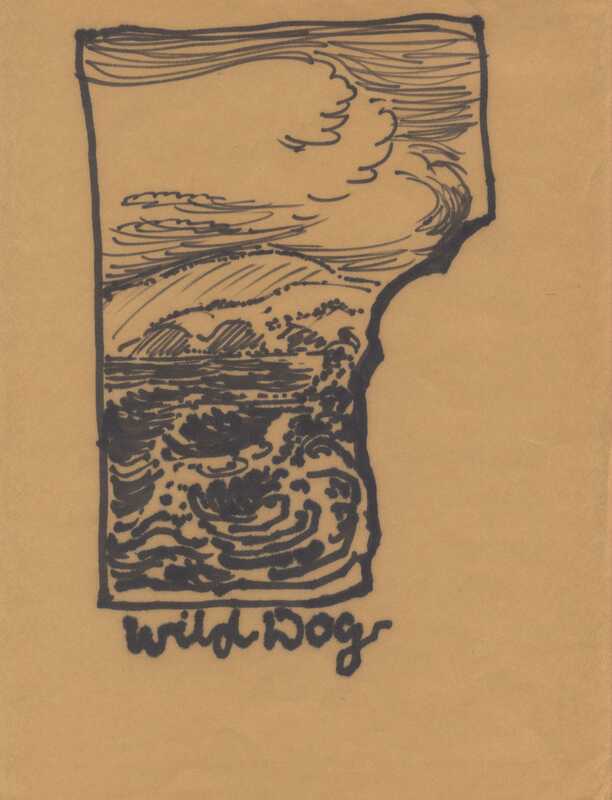 To view and read poems by Allen Ginsberg and learn more about The Wild Dog Papers, visit Newton Gresham Library’s Special Collections on the fourth floor of the Library. 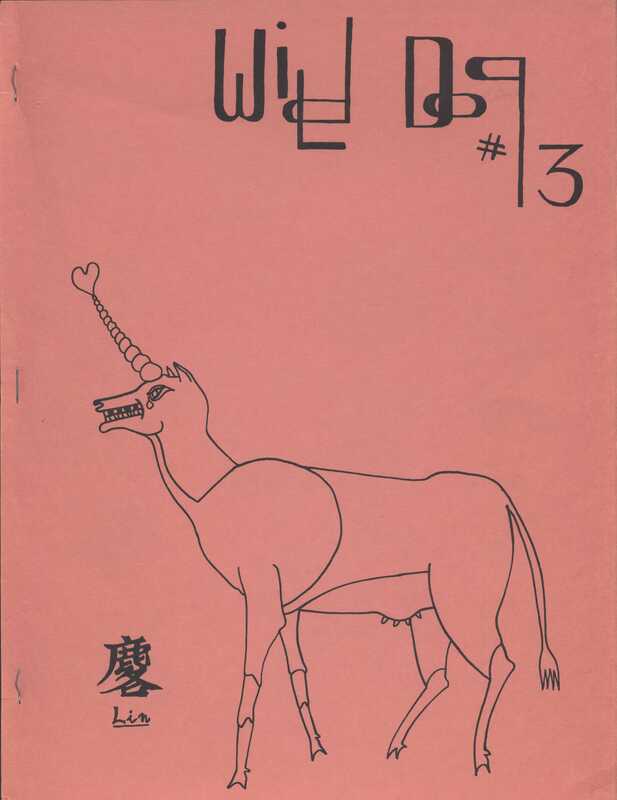 Cover of Issue 6 which contains the poem Ariba. It can be located in series 2, subseries 2, box 6, folder 10. Hugh Andrew Wagnon Jr., better known as simply Drew Wagnon was not only a beat poet but also one of the editors of the Wild Dog Papers a beat poetry magazine. In the Wild Dog collection, housed in the Thomason Room, you can find poetry by Drew Wagnon as well as read correspondence between Wagon and other beat poets, which offers a bit of interesting insight into Drew Wagnon the poet and Drew Wagnon the man. Many of the correspondence between Wagnon and other poets published in The Wild Dog are friendly and not very business oriented, which makes them very interesting. You can find Wagnon’s poems in issues 6,13,16,18. Wagons poems include Ariba, Poem, Alto, and Later. Ariba can be found in series 2, subseries 4, box 8, folder 6. Poem can be found in series 2, subseries 4, box 8, folder 13. Wagnon’s poem Alto describes a trip to Mexico and can be found in series 2, subseries 4, box 9, folder 1. Wagon’s last poem in The Wild Dog collection can be found in series 2, subseries 4, box 9, folder 3, it contains a very interesting view on the world. Wagnon was married 3 times and outlived his last wife. Terry, Wagnon’s first wife helped him edit several editions of The Wild Dog Papers. In the correspondents section, found in series 1, subseries 1 and 2, boxes 1-3, you can read letters sent to her and Drew Wagnon from other beat authors. Along with editing and writing poetry, Wagnon also had a variety of odd jobs, throughout his life, which included; electrician, housing inspector, high rise steel worker, printing press operator, and postal worker. 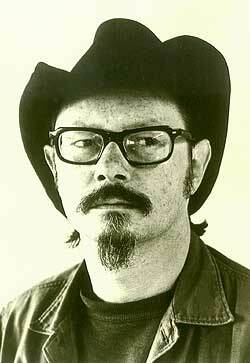 Drew Wagnon died on November, 4 2011, but he lives on through his amazing beat poetry. To view and read Drew Wagnons poetry and The Wild Dog Papers visit Newton Gresham Library’s Special Collections in room 400 of the Library.